Ok, this is going to sound bizarre… yes it really will but it works, to a point. I’m not pretending in any way this is authentic or genuine or even nice… no it is nice I wouldn’t post it if it wasn’t but please don’t write in complaining because it does work trust me. Yes, this is a recipe, it’s a bit like my Cheat’s Shepherd’s Pie but only spicy, and with kidney beans… so ok nothing like it 😆 . 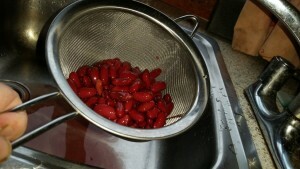 The ingredients and equipment are simple, it’s what you see above. You will also need a couple of teaspoons, a wooden spoon and your favourite small saucepan… mine is above. 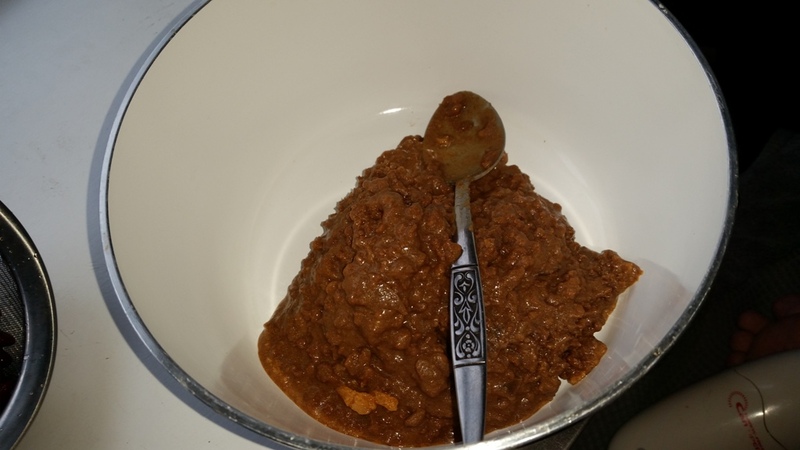 Pour all the minced beef into the saucepan, I know, I know it does look a cross between dog food and baby food but it’s lush honestly and I really love the Asda variety, which helps because it’s where my mother shops. 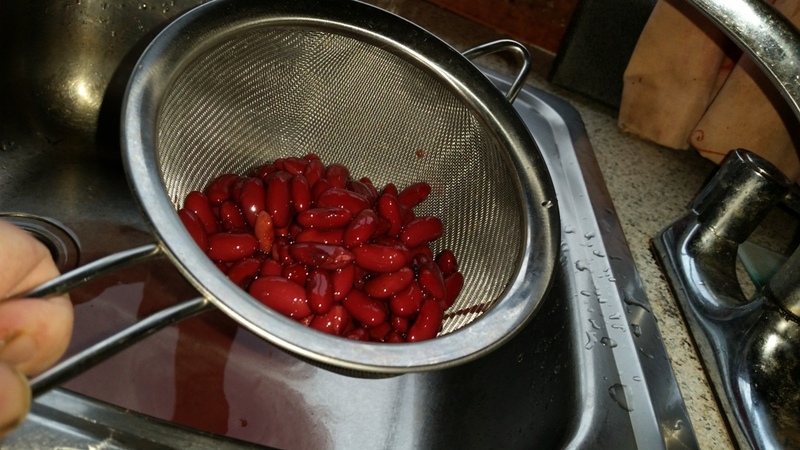 Tip the red kidney beans into a sieve and then run cold water over them…. normally I would place them in boiling water from the kettle to soften them but they were ok as they were… I think I’ve learned something your honour! 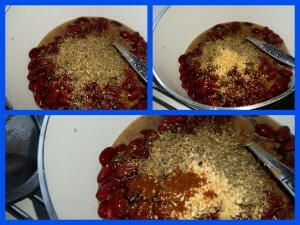 Add the Mixed Dry Herbs, Garlic and Chilli Powder to taste. I went with a tablespoon of Mixed Dry Herbs, a teaspoon of Chilli Garlic Granules and a ¼ of a teaspoon of the chilli powder. 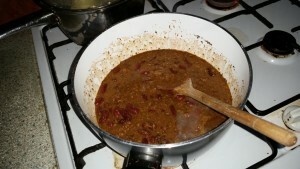 Now stir everything together and place on a medium high heat to warm everything through. 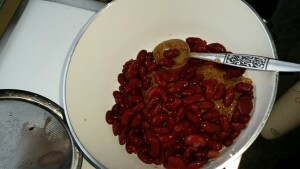 Stir regularly to ensure it all combines and then season with salt and pepper. Remember as I said at the top of the post, it’s not traditional or authentic, but it’s quick and easy and as long as you season it properly it’s really tasty too. 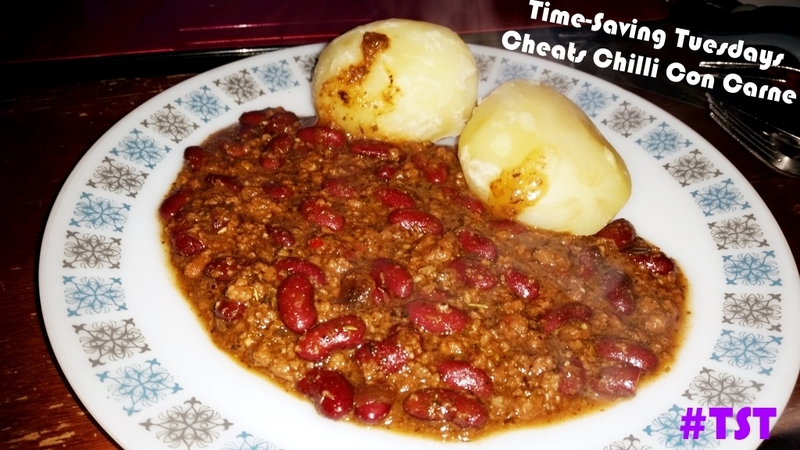 I’ve served this with boiled potatoes because… in the #TimeSavingTuesdays theme we had them left over. It’s an excellent little cheat’s recipe. If you don’t want to go to this much faff… and trust me it’s not a faff you can buy Asda Chilli Con Carne which was a 7 out of 10, read my review here. 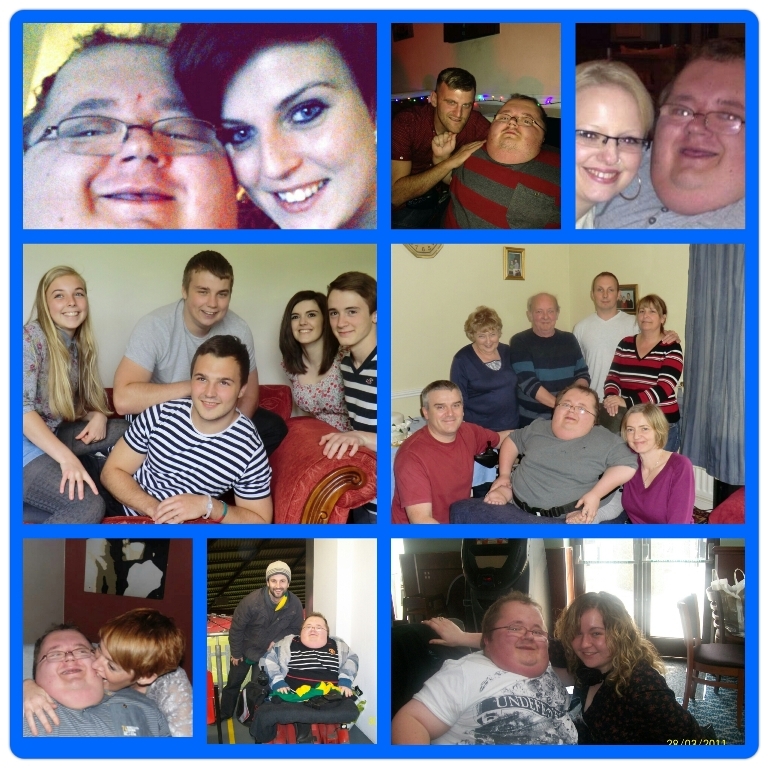 Nobody ever knows what goes on in people’s minds but I am so grateful for my friends and family for all their help while my mother has been in hospital. The people in this picture below…. your loved, but i hope you know that! 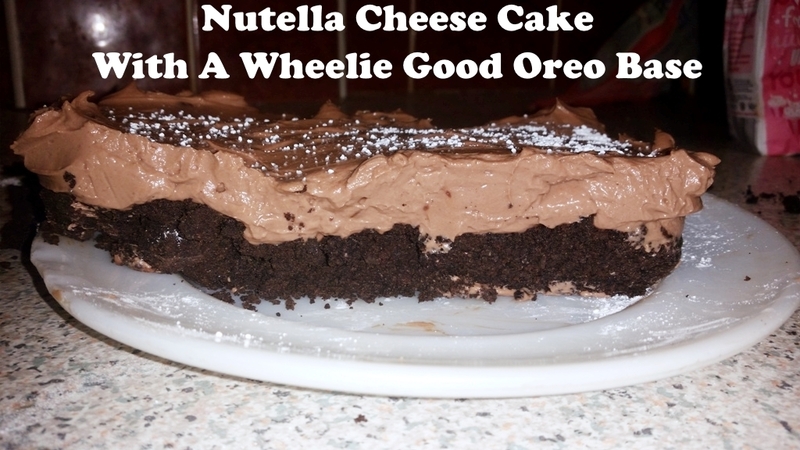 Come back in the week for the piece de resistance, the end of my Mother’s Day Menu the Nutella and Oreo Cheesecake. 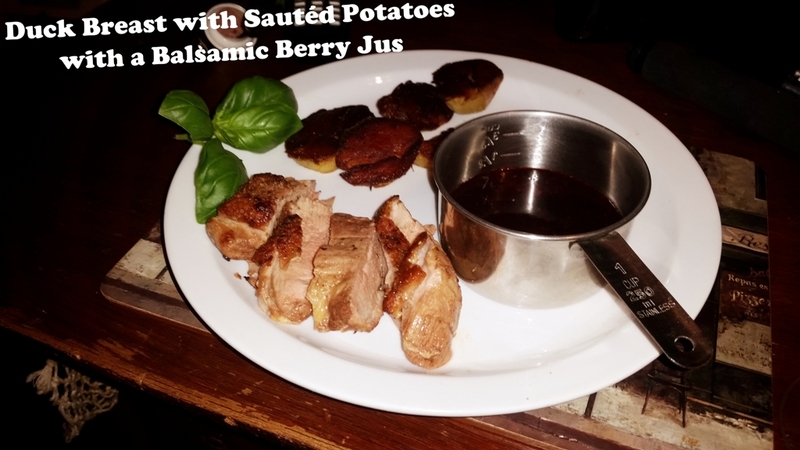 You can read how to make the starter of Scallops With Curried Cauliflower Purée with Smoked Bacon or the main of Duck with Sautéed Potatoes and a Balsamic Berry Jus. See you soon… happy days!! A mother’s hug lasts long after she lets go Richard.